With our kits you'll have an abundance of truly fresh mushrooms. Easy to grow keep indoors, out of direct sunlight, just water and watch them grow! Our flagship Chestnut Mushroom Kit is now part of a range including Yellow, Pink and King Oyster, White, Shiitake and even Nameko Mushrooms! ​​​The fun and rewards of growing your own Mushrooms at home is now at your fingertips. Grown on Organic compost these are the only mushroom grow kits you can buy which give truly fresh delicious mushrooms. In just a few days you will have an abundant supply of fresh mushrooms for whatever the occasion, raw in a salad, cover in melted blue cheese, see our Recipes for ideas for any dish mushrooms are very versatile and taste great too! Unlike other mushroom Growing kits, our Award Winning kits are sent, nationwide UK at a stage which we know you will be Guaranteed to grow mushrooms, so for your purchase you have peace of mind that you will receive the freshest mushrooms you have ever tasted, straight to your door! Our new Vegan mushroom Jerky is the perfect savoury snack, packed full of flavour and only using high quality mushrooms, we have created a tasty Meatless snack which comes in two great flavours, a traditional style and a mesquite smoked variety. ​​For the more adventurous foodie why not try one of our Exotic Gourmet Mushroom kits. 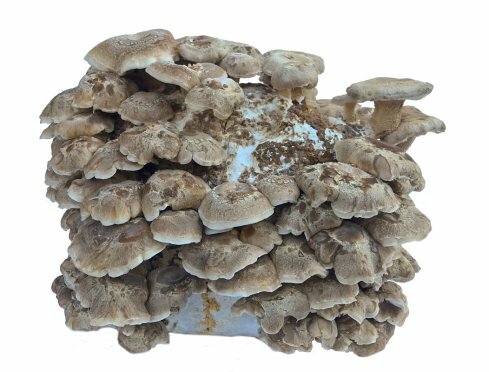 Consumer demand for specialty mushrooms such as Shiitake and Oyster is increasing rapidly. The more exotic mushrooms being used more and more in restaurant menus, which encourages consumers to use them at home. Our exotic kits are the only ready growing kits that will produce mushrooms in a few days. 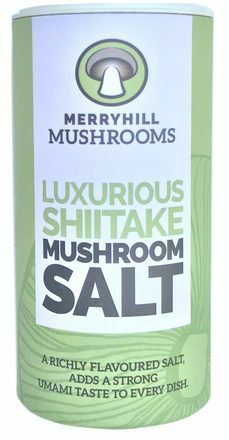 We at Merryhill Mushrooms developed these easy mushroom growing kits as a unique way of combining the thrill of growing your own produce, with the help of our knowledge and love of mushrooms gathered over six generations you can now easily grow mushrooms. Our mushroom grow kits are great fun for children and adults alike, and also serve as a perfect unique gift, for foodies and garden lovers.